The building inspector is not your friend, but neither are they your enemy. It is the job of the building inspector to make sure that all the work that is carried out on your loft is safe so you can get building approval and you are not or will be in the future harming anyone by the work that you have carried out. 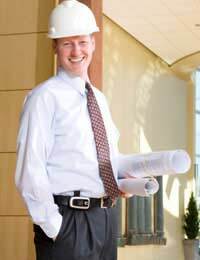 Building inspectors like to be kept in the loop and can offer you building regs tips, so it is important that you get to know your building inspector from the outset. Building inspectors like to know every detail of what you are planning for your loft conversion, so you should make it your job, or your builders job to make sure they contact them at very stage to request a visit. It is no good waiting until your loft conversion is completed and then calling in the inspector because it could be too late. The building inspector will want to check that every part of your loft conversion is structured properly and that each piece of floor board loft insulation and brick has been put down correctly, they may even give you some building tips. If you wait until the loft conversion is completed and you have put down your carpets and have it all decorated, you could be in for a nasty surprise if the building inspector asks you to bring it all up again so he can inspect the floorboards. Even worse, if he finds fault with what has been built he may even ask you to knock the whole thing down, which won’t just leave a hole in your loft, but in your pocket as well. The main point that building inspectors have to consider is whether your loft conversion or extension causes any risk to the structure of your house. In order for it not to, you will need to show that the beams in the loft are enough to support anything that you will be putting up there. The guidelines for this can sometimes differ from local authorities, so it is important that you check with your own local authority, what guidelines and building tips they have for the houses in your street. You may also need to consider your neighbours if you live in a terraced or semi-detached house. The building inspector may need to look in their loft as well to make sure that your loft work will not affect their loft, in some cases you may need a Party Wall agreement. Your appointed architect and structural engineer should be the ones who keep you in the loop regarding what building regulations you will need to follow, you should make sure that they talk to you about this and update you on any changes that are happening. You will need to also make sure that the builder you employ to do the work is qualified in carrying out loft conversions. You should ask to see some loft conversions that they have done before and they should know lots of building regs tips that should keep the building inspector happy. If you have a qualified builder you should be able to get building approval after your visits from the building inspector, so make sure you choose the right person for the job and you shouldn’t go wrong.